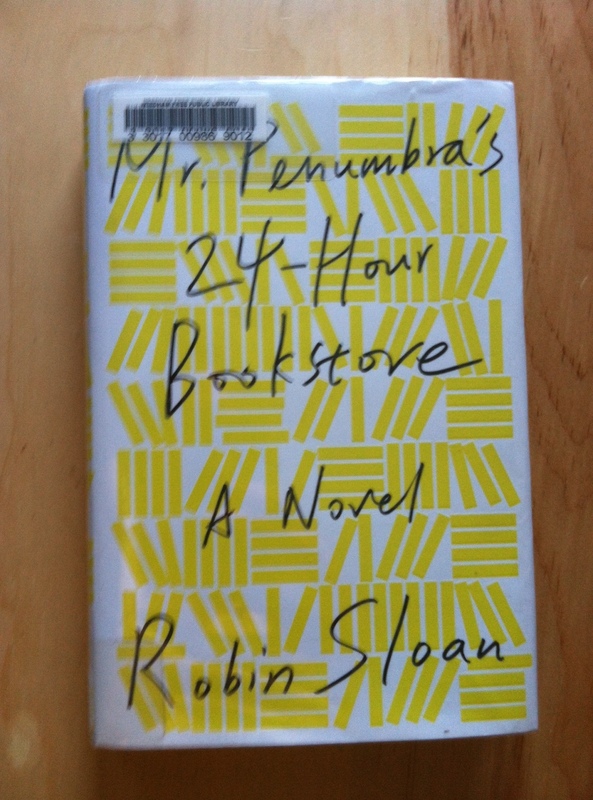 Mr. Penumbra’s 24-Hour Bookstore is a great big love letter to bookstores, technology, history, urban life, and, above all, friendship. I loved it. However, it’s difficult to talk about without giving away plot, so I’ll be brief: Clay is a laid-off designer who finds himself working as the night clerk (I know — how much do you wish your bookstores were open twenty-four hours a day?) at a small bookstore in San Francisco. The bookstore’s clientele is mysterious, weird, and impossible to ignore. Soon, Clay is drawn into cryptography, the world of Google, and his employer’s confidence. I loved that the line between real and not-real is faint, and might shift over time. Someone reading this in 2020 may accept as fact some of the things that Kat, the novel’s main Googler, says that Google can do. The self-driving car? Check. We’ve read about that already. But some of the other stuff strains the imagination. Except when it doesn’t. As we follow Clay on his gallivanting, we also meet his friends, all brilliant and different and skilled in fascinating ways. I love books in which friends are the focus, instead of love interestes (uteruses before duderuses, as Leslie Knope would say), because friendships are often the closest, longest-lasting relationships of our lives, pre-dating marriages, for example. Clay comes to rely on his friends, and I hope Mr. Sloan will too — I want to find out what happens to the roommates. When’s the last time you said that about a book? Glad to see your enthusiastic recommendation! I’ve been very curious about this book and I’ll now put this on my TR list! I’m so pleasantly surprised every time I see someone reading this book. I randomly grabbed it in a book store about a year ago, and thought the premise was interesting despite the fact that the book appeared to be quasi-shabbily made. Assumed it was an indie production or something small-scale. But every time I turn around someone else is reading this. It’s awesome. It’s not Great Literature, but it is fun. I hear the cover glows in the dark, but I didn’t check. Blogger fail. I also loved how all his friends got so involved. He made it seem so natural, that, of course his friends are ready and willing to help him out. It was very refreshing.